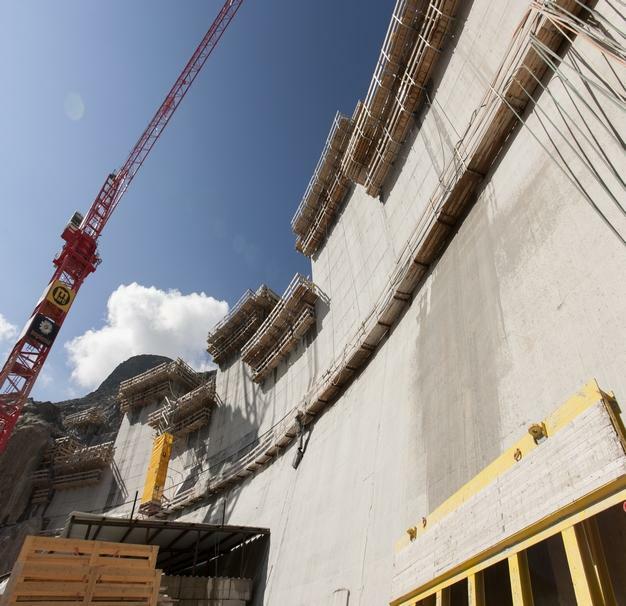 The Nant de Drance/Emosson pumped-storage power plant in the canton of Valais is part of Switzerland's contribution to the energy-policy turnaround. 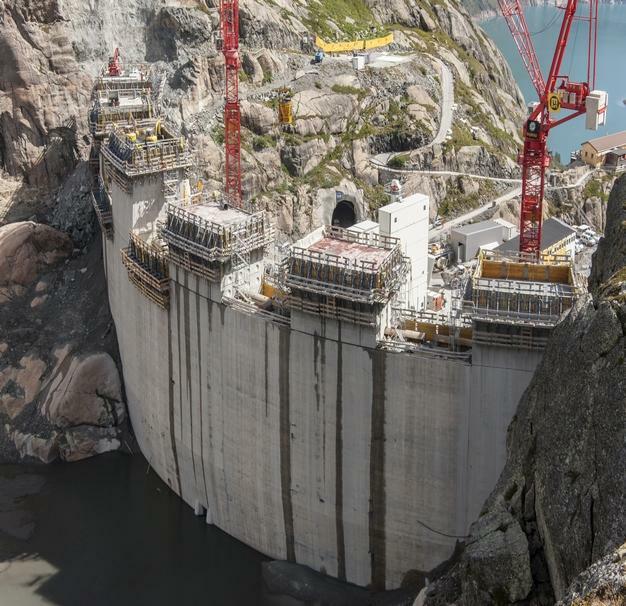 The existing dam is being raised an additional 21.5 metres as a means of sustaining the necessary capacities. 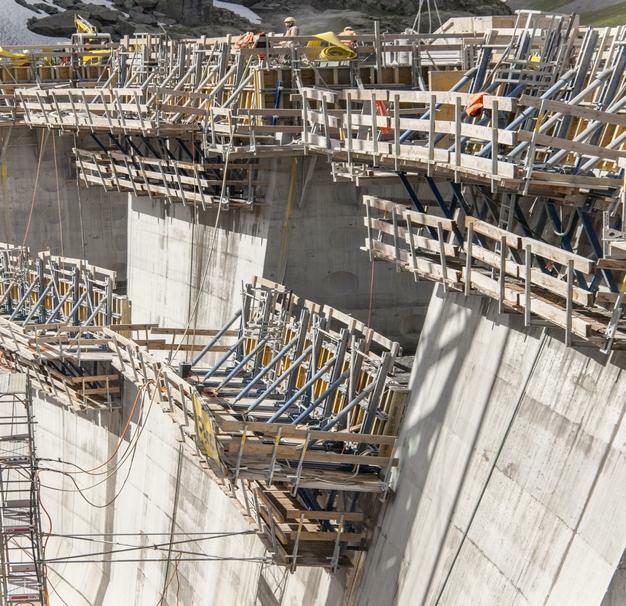 This ambitious project high up in the mountains is proceeding with the dam formwork system from Doka Switzerland. 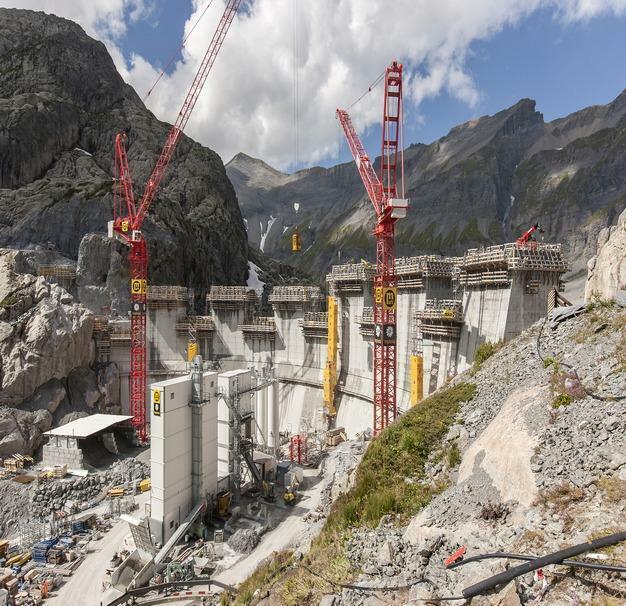 Thank you for your interest - Emosson reservoir dam. 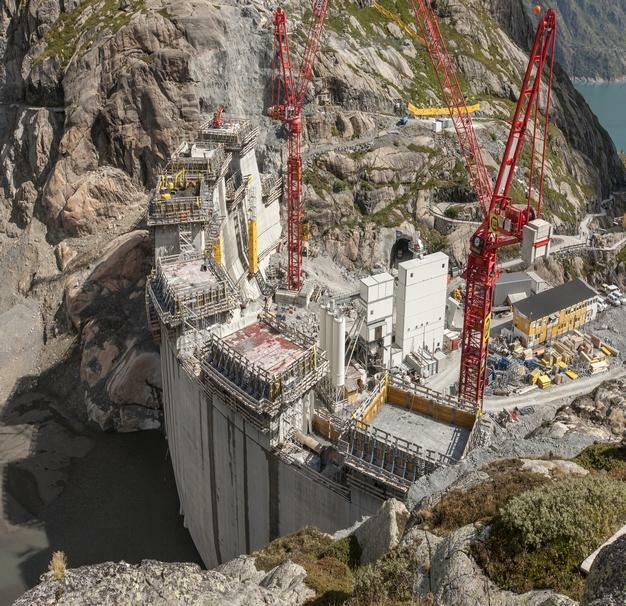 Thank you very much for your interest - Emosson reservoir dam.